HTC blazed trails in the late 2000s by bringing a smartphone to market based on the Android operating system. Now it wants to do the same with blockchain. The Taiwanese electronics maker on Tuesday unveiled the Exodus smartphone, which would serve as both a mobile connecting point to the world of decentralized networks and a storage device for those who want to carry their crypto in their pocket. According to Phil Chen – who previously founded HTC’s Vive virtual reality product line and recently returned to the company to spearhead the Genesis project – the company aims to start distributing the device in short order. “We’re looking to ship by the end of this year,” Chen told CoinDesk. While HTC isn’t the only company working on a blockchain-dedicated smartphone – Sirin Labs recently raised $157 million in an initial coin offering to build the “Finney” – it’s by far the biggest company of its kind to undertake the effort. 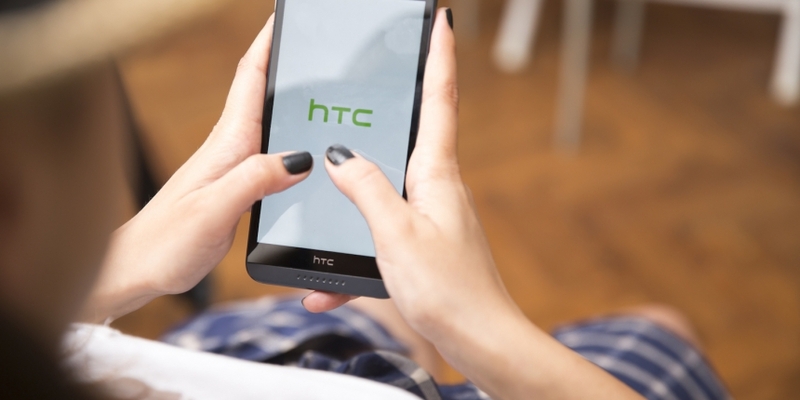 And the way the product has been internally positioned indicates that HTC sees a powerful role for decentralized technologies, particularly for putting the power to control consumers’ digital identities firmly in their own hands. Efforts like this point to a deepening relationship between mobile devices and blockchains. From the plethora of smartphone-based wallet apps to the ability to send cryptocurrency by way of SMS, it’s a combination that has driven both innovation and, for the unlucky, theft. But challenges aside, HTC is pursuing what could be the next big thing for smartphone development. Speaking to CoinDesk, Chen said that the goal was to build a product that would provide a high level of security for digital assets stored in the device, but one that also offers an ease of use other crypto-wallets on the market lack. In particular, the Genesis is set to include a digital storefront for distributed apps, or dapps, in addition to a built-in wallet. The idea is that this store will be connected to offerings around existing blockchain networks, including ethereum. The phone will also have an API built into it so that developers can build additional apps based on the integrated networks. Indeed, HTC appears to be betting that the ubiquitous nature of the smartphone – data from Statista indicates that nearly 3 billion people today use smartphones worldwide – is a natural fit for blockchain, especially as it relates to greater control over one’s information. “We really care about this portable identity and users owning their identity and data, and we believe that the phone is the best place to do that,” Chen explained. As a major smartphone maker, one might think that HTC is looking to jump into the market with guns blazing. But according to Chen, the Taiwanese manufacturer is taking a decidedly different approach, reaching out to projects like ethereum and DFinity as it looks to integrate those protocols into the Genesis phone. “At some point, somebody needs to build a mobile-centric protocol,” he added. The coming months, Chen went on to say, will see the slow release of additional information about the Genesis, including white papers, specifications and the like. “We’ll also be releasing some more white papers in the July–August time frame that have more of that, can have the phone be a node as opposed to mid-to-high-end servers,” he told CoinDesk. And in a nod to the crypto community, a forthcoming pre-sale for the phone will only accept bitcoin and ethereum as payment. “We’re going to do a pre-sale, and we’ll accept ethereum and bitcoin, for the pre-order,” Chen explained. Editor’s Note: This article has been updated to reflect that HTC’s forthcoming phone – originally referred to as the Genesis in internal documentation provided to CoinDesk – is now known as the Exodus.